Hi! Well, my light box started falling apart already, so I gave up with it and just bought a little light tent from eBay. It was only £10 and came with different coloured backgrounds, so I'm trying out black for a while. It's nice not having to wait for decent daylight to take pictures anymore, but it still frustrates the hell out of me trying to get consistent pictures! I'm a god awful photographer! Anyway, today I have the first of my Christmas themed nails. 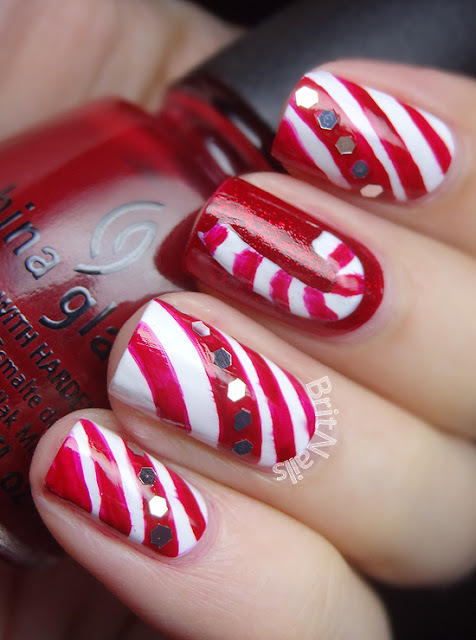 I wanted to do a candy cane pattern, but didn't want just plain red and white stripes, so I tried to make it a bit different. 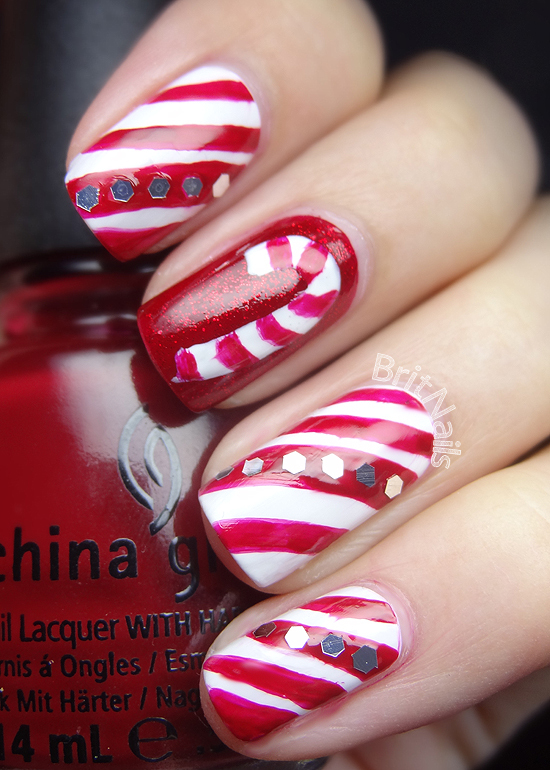 I used Essie Blanc for the base colour, and China Glaze Ruby Pumps on my middle finger. 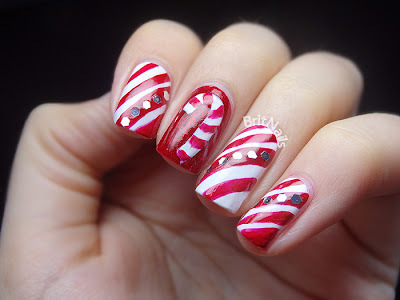 I painted on the stripes (China Glaze Winter Berry) and the candy cane with a small paint brush. I added some silver glequins for sparkle! It feels really odd having a black background! 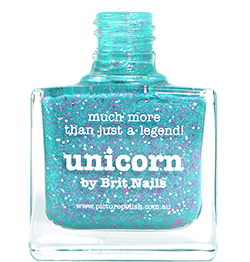 OMG, I am totally in love with this! It's so adorable.